In 2011, STRIVE was established to develop an alternative perspective on fighting the HIV epidemic; replacing short-term thinking and vertical programming on HIV with system thinking on how to address upstream risk factors that HIV shares with multiple development outcomes. It is STRIVE's firm belief that we will not be able to realise the promise of the SDGs without applying the type of inter-sectoral, upstream thinking that we been applying to HIV as part of STRIVE. 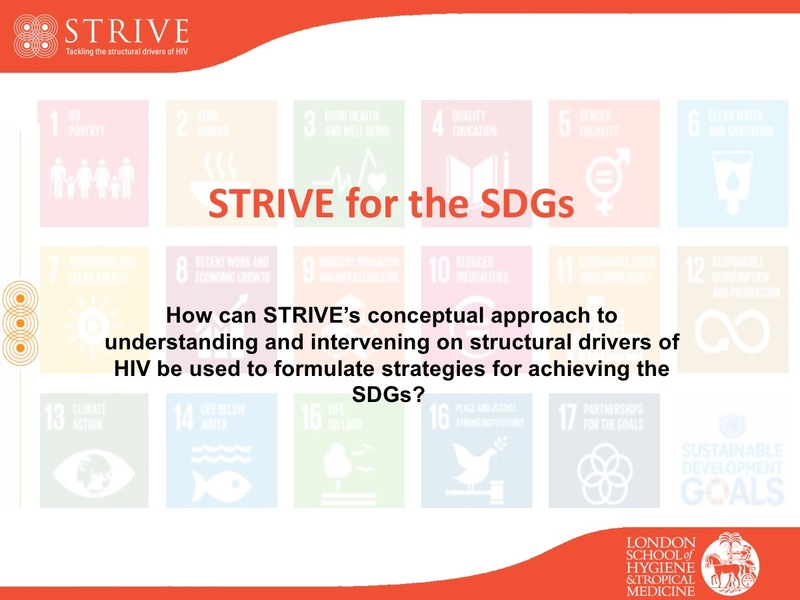 This presentation, given at the STRIVE pre-conference session at AIDS 2018, presents lessons that can be applied from STRIVE’s 7 years of research and thought leadership to inform strategies for achieving the SDGs.